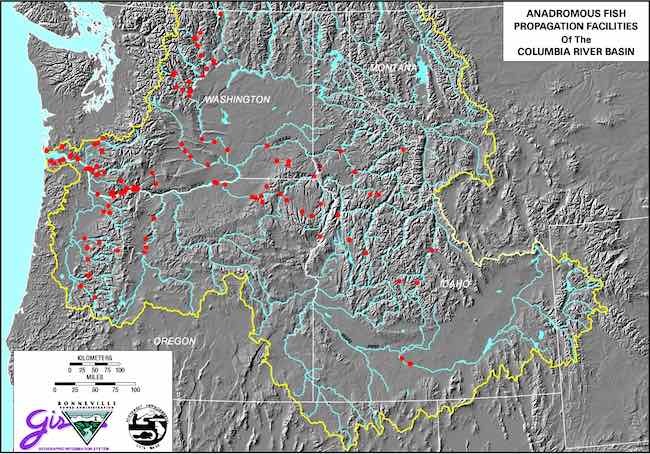 Federal authorities have five years to study changes to the operation of 14 Northwest hydropower facilities aimed at mitigating harms to threatened and endangered fish. Environmental groups had called for a shorter deadline but they're optimistic the process will compel federal agencies to come up with more aggressive operational changes. Irrigators who depend on electricity from the hydropower dams, meanwhile, expect the five-year study will amount to an expensive waste of time. "Nothing good will come out of this," said Darryl Olsen, board representative of the Columbia-Snake River Irrigators Association. Earlier this year, U.S. District Judge Michael Simon held that the federal government's plans for operating the facilities violated the Endangered Species Act so agencies must come up with new "reasonable and prudent alternatives" to protect fish in about two years. Those plans must also be subjected to an "environmental impact statement," which environmental groups argued should be completed in three years. Simon has instead sided with the U.S. Army Corps of Engineers and U.S. Bureau of Reclamation and given the agencies more time, until 2021, to finish the EIS. While there is an "urgent need" to correct problems with the hydropower system, rushing the EIS process "to meet an arbitrary court deadline may be counterproductive," Simon ruled. The EIS process is critical because the federal agencies will be required to examine several options for altering hydropower operations, such as removing four dams along the Snake river, said Todd True, an attorney for the Earthjustice law firm, which represents environmental groups. Changes to the energy grid and river shipping will influence the government's analysis, as will improved information about climate change and dam removal, said True. "There is a whole other context the government is going to be operating under this time," he said. The Columbia-Snake River Irrigators Association isn't so enthusiastic. The hydropower system has undergone EIS analysis several times in the past and it's unlikely that federal agencies will arrive at a different result this time, said Olsen, CSRIA's board representative. "It will be another big process and I really don't expect their conclusions to be much different," he said. Irrigators fear that increased costs for operating the dams will drive up electricity rates, which would make pumping water more expensive. Worries about the system's impact on fish also discourages state governments from issuing new water rights, according to irrigators. The five years spent on the new EIS will likely cost $20 million to $30 million, Olsen said. "It's a consultant's dream." Federal authorities probably won't remove the dams, so the ultimate outcome will likely be increased spending on environmental mitigation projects by the Bonneville Power Administration, which operates the system, he said. "The real point is to extract more money out of Bonneville Power Administration," Olsen said. "There is no objective other than money." True of Earthjustice objected to this allegation, stating that the billions of dollars spent so far to protect fish haven't generated meaningful results. "I completely disagree," he said.